The health industry has recently been placing a lot of focus on sugar, America is now implementing a sugar tax, it’s the new fad diet and companies are bringing out sugar-free alternatives to their product lines. But is sugar really killing us like they claim? No. Sugar is not killing us, and if you hear me out, I’ll explain why. Sugar is a carbohydrate and our body needs carbs as they provide our body with energy. Carbs are components of our DNA and RNA, and vital to the general functioning of our body. There are two types of carbohydrates, simple and complex. In this article we are going to discuss simple carbs (sugar). Simple carbs are the sweet stuff like lollies, cake and cereals. They are very quickly broken down and absorbed by the digestive system. Simple carbs are single chain carbon molecules and are, in the chemistry world, monosaccharides and disaccharides. Lets focus on the monosaccharides, as you’ll come across them a bit more. Fructose, glucose, galactose and ribose are all monosaccharides. They get absorbed into the bloodstream almost immediately and give you that sugar rush… but also that crash in energy levels. The problem with simple carbs is that because they do get absorbed so quickly, it also means that they get used up very quickly, resulting in ‘yo-yoing’, or inconsistent energy levels. As previously mentioned, there are different types of sugars. The body metabolises and stores each sugar differently. 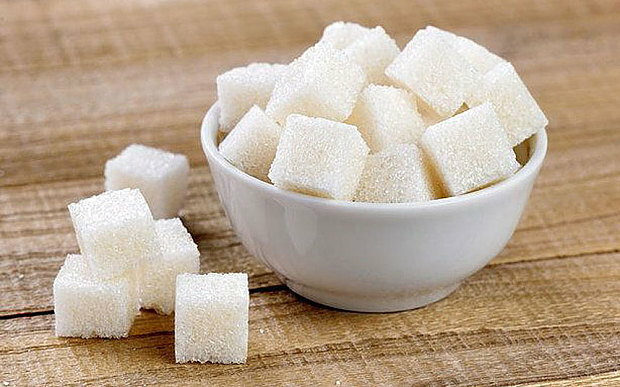 The two most common sugars are glucose and fructose, they come together to be called sucrose and the percentage of fructose to glucose is what makes the difference. Glucose is the most abundant sugar in nature and is important for human nutrition (you’ll notice a lot of athletes will take glucose sachets before a long run or intensive exercise). The body primarily uses glucose (glycogen) for the normal function of the body, it can draw from fat and protein but it requires a lot more time to be able to break down the fat and protein to get the energy out. Fructose is the sugar from fruit. It is the sweetest sugar, and it metabolises quite differently to glucose. Instead of being metabolised throughout the whole body, it is broken down in the liver. It doesn’t raise the body’s insulin levels as much as glucose, so we feel less satiated. On top of that, it also damages the liver and is a cause of weight gain. Foods to avoid with high amounts of fructose are: high fructose corn syrup, palm sugar, golden syrup, dried fruit and foods with added dried fruit, overly-ripened fruit (the riper the fruit, the higher percentage of fructose). Some foods that have a good glucose:fructose ratio include: grapefruit, raw apricots, rhubarb, nectarine, plum, banana (make sure the banana isn’t overripe otherwise it will have high levels of fructose), orange, strawberries, watermelon, pineapple, and raspberries. Notice that the foods listed above are all wholesome foods that contain fibre, which help to reduce the glycemic index of a meal (see below). Fibre slows down the digestion of the sugar so that it is slowly released into the blood stream, which means energy levels are more stable. In juices, the same levels of fibre are not present, and so the glycemic index of juice is often higher than that of it’s solid counterpart. Glycemic index is a ranking system of 0 to 100 depending on how quickly the blood glucose levels change after eating. High GI foods are those that are quickly absorbed and result in a spike in glucose levels, whereas Low GI foods are slowly absorbed and maintain a more consistent glucose level in the blood. Low GI foods also help with weight management as we feel fuller for longer. Some foods that are Low GI are: oats, fruit, vegetables, and most nuts. So much info and communicated with ease. Makes me rethink what I’m eating for sure!! Interesting article Hannah. No more sugar shaming! !